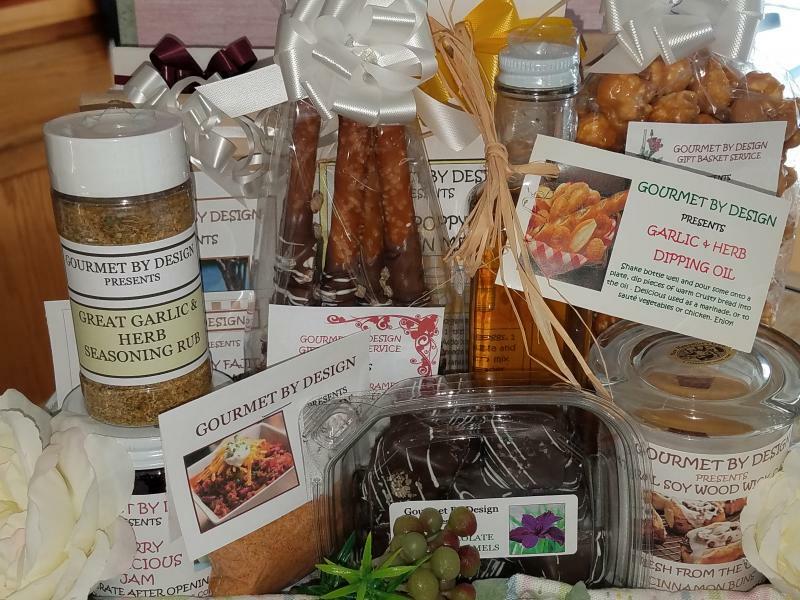 looking for delicious gourmet gift baskets for every occasion. Look no further! Every basket we create is made to order using only the finest and freshest ingredients available. Unlike other gift baskets on the market, all of our products are homemade. we take pride in the quality of our products one basket at a time. From hand dipped chocolates and confections, to caramel popcorn and cookies , assorted jams, baking mixes and rubs, to soy candles and so much more. We make them all and deliver them fresh to you. We strive to make everyone who gives or receives one of our baskets a repeat customer. If you are not satisfied, neither are we. For more information, a brochure or to customize a basket please call or e-mail. Delivering to the Concord N.H. and surrounding town areas only. PRIORITY shipping on select items is also available. one of a kind creation.